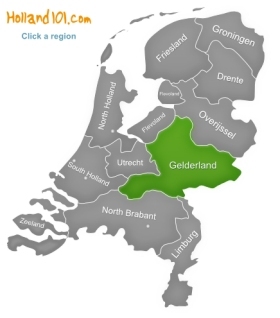 With around two million inhabitants and an area of well over 5,000 square kilometres, Gelderland is the biggest region of Holland. Gelderland is often also called the green heart of Holland because it has extensive moors and forests. It is also one of the few regions in Holland that has a proper Dutch river area. The region is very accessible and used to be a gateway to Holland and the rest of Europe, and in a way it still is – even though travelling has become a lot easier and less complicated over the last few dozens years. Gelderland attracts a lot of national and international visitors. 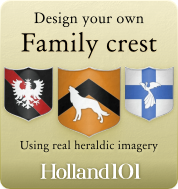 Gelderland used to be a part of the Roman Empire and is actually named after the German Gelder. You will find many Roman ruins and buildings in some parts of Gelderland, and it's definitely one of the best regions of Holland if you would like to learn more about the Roman Empire's influence on the Dutch culture and heritage. Arnhem is the capital of Gelderland, and the best place to start if you would like to do some research into the heritage, history and culture of the region. There is more than just one museum, a war cemetery, parks to take a walk in, a basilica, and some other interesting historical building. The Netherlands Open Air Museum is a great experience if you are interested in what life was like in the past. There are over eighty historic houses, farms and windmills that show you what everyday life in the Netherlands looked like in the past. If you have Dutch ancestors and wondered what life must have been like for them, then this museum is one of the best places you could go to. The special thing about this museum is that you can even take part in those traditional activities, e.g. you could help the blacksmith with his work! A lot of the history of the Netherlands is connected to the water, so it makes sense that the country also has a museum dedicated to water. It is a great museum in which you can learn all you might ever have wanted to learn about water, and its importance to the people of Holland. However, the museum does not only focus on the meaning of water for the Netherlands, it shows you how people all over the world deal with water and the problems that arise because of too much or too little water. Nijmegen is a must if you are interested in Dutch history and heritage, as Nijmegen is one of the three oldest cities in Holland. It recently celebrated its 2,000 year anniversary and you can still see many of the old buildings in the town. 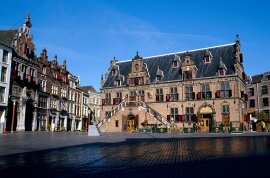 There is a good museum in which you can learn more about the history of Nijmegen, and you can also find out more about heritage and culture during your stay. Nijmegen is also the start of the famous four day marches, one of the biggest international walking events (people walk between 30 to 50 kilometres during each day of the event). The De Hoge Veluwe National Park is one of the largest national parks in Holland, and is very impressive with its 5,400 hectares. 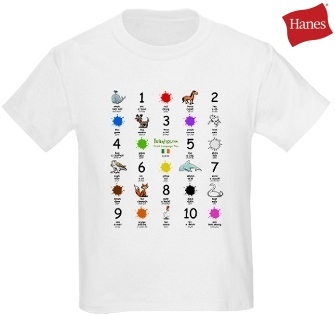 It'll be impossible to take it all in unless you really have a lot of time on your hands. You can go on a guided safari or explore the sand dunes, forests, heaths, and meres on your own by hiking on one of the excellent hiking tracks. There are also bikes that you can use to explore the area and see more of it in a shorter time (the plus: it's free to use those bikes!). The national park also is the home to the largest collection of Van Gogh art in the Kröller-Müller Museum. 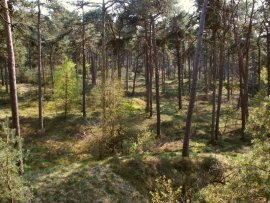 Apfeldoorn is a popular place because of the 17th century Het Loo palace, the ape zoo, beautiful parks, and because of its interesting history. The most interesting part of the city is the North West quarter of Apfeldoorn because that's where the historic core of the city used to be. Apfeldoorn is also quite a good place for theatre and jazz music.